For as long as there have been people settled along the Cariboo Chilcotin Coast there have been artists in the region, stretching as far back to the ancient aborigines who crafted rudimentary – but still stunning – pieces of art, many of which still exist in galleries in Cariboo today. This tradition and respect (some would even say reference) for the arts and culture along the Cariboo Chilcotin Coast continues still today, with millions and millions of people flocking to British Columbia and the western coast of Canada to take in some of the country’s most impressive art installations, galleries, and cultural events. Many of these visitors are so taken in by the artist atmosphere that so deeply permeates everything in Cariboo that they make firm commitments to return to the area on a permanent resident basis, bringing with them their own ideas, talents, and conception about art and culture. This has transformed British Columbia into a bit of a melting pot of sorts on the cultural front, and has helped to create some of the most impressive travel and cultural destinations in all of Canada. 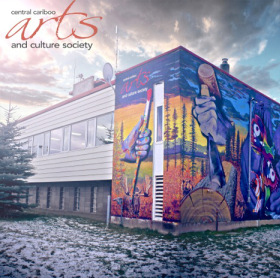 If you’d like to learn a bit more about the art scene in Cariboo (and the rest of British Columbia, for that matter), read on! Though the culture and arts have absolutely exploded in popularity throughout British Columbia in the last two decades or so, there has always been a rich history and tradition of artists and artistic installations that stretch back to the times of the ancient aborigines that roamed this land. Aboriginal art can be found all throughout British Columbia (but especially along the coast), and many of these pieces have been collected, curated, and protected in galleries as well as their own “natural habitats” for years and years now. Combine that with vast stretches of stunning landscapes (many of which have become the subject of art installations and pieces from some of Canada’s best artists and photographers), and you are talking about a region that is filled to the brim with everything Canadian art has come to embody. While culture will always continue to change, evolve, and go through transformation after transformation, it’s almost impossible to conceive of Cariboo and British Columbia not having some kind of influence on Canadian art and culture from here on out. There are a number of major attractions that visitors are going to want to include on their itinerary all along the Cariboo Chilcotin Coast. But if you’re only going to be able to visit a handful of these destinations on your next trip, make sure that these make the list! The quaint little picturesque town of Wells is bursting at the brim with art and culture. Even though their winter population is just 240 souls, there are six major art galleries located throughout the town – with a number of smaller galleries, art installations, and “artist communities” dotted throughout the landscape. Another absolute must visit destination along the Cariboo Chilcotin Coast would have to be the Chris Harris Studio Gallery at the 108 Mile Ranch. Home to one of the largest collections of this legendary Canadian photographer’s work, a straw bale gallery shows off some of the most stunning stills and panoramas of British Columbia, her nature and wildlife, and a handful of more personal subjects found anywhere on the planet. As mentioned above, aboriginal art is very well represented throughout British Columbia, but you’ll be able to find some of the oldest pieces (as well as some of the most remarkable and culturally significant) by visiting the Petroglyph Gallery in Bella Coola. If you have a little bit more time on your hands to visit other hotspots throughout Caribou and British Columbia, you’ll want to consider adding these destinations to your itinerary! • In regards to nightlife, the options are fairly limited. However, more pubs and restaurants continue to appear throughout the district, including the Shark Club, located in Quesnel. One must be careful as well, since ride sharing services like Uber & Lyft are less likely to be found in remote regions like the Cariboo. A DUI in Canada can be treated as a felony offense as well, according to San Rafael DUI Defense Lawyer Michael Rehm, as opposed to the normal misdemeanor charge one sees in the States. So if you go out, make sure to designate a driver. Of course, you’re also going to want to make sure that you visit the archipelago in British Columbia that is home to artists, artisans, craftspeople, and some of the most talented creators in all of Canada. The Gulf Islands archipelago (located between Vancouver and Victoria) has always been a hotbed for those looking to escape more traditional urban environments as well as those that have been able to fully develop their creative abilities. Though many of these premier art destinations in British Columbia and along the Cariboo Chilcotin Coast are open year round, it’s probably a better idea for visitors (especially those that are coming from international destinations) to plan their trip to this part of Canada during the warmer months. Winters in British Columbia can be quite harsh and unforgiving, and though there is a spectacular natural beauty to the area when it’s been covered in a blanket of snow, most find the warmer months to be more ideal for outdoor exploration and a real appreciation of the arts. There are a variety of different accommodations available for all travelers that are hoping to visit British Columbia and the Cariboo Chilcotin Coast, and those that intend to return to their international homes with a bit of Canadian art in tow are going to want to make sure that they clear everything through customs ahead of time and take advantage of international shipping services located throughout the area. 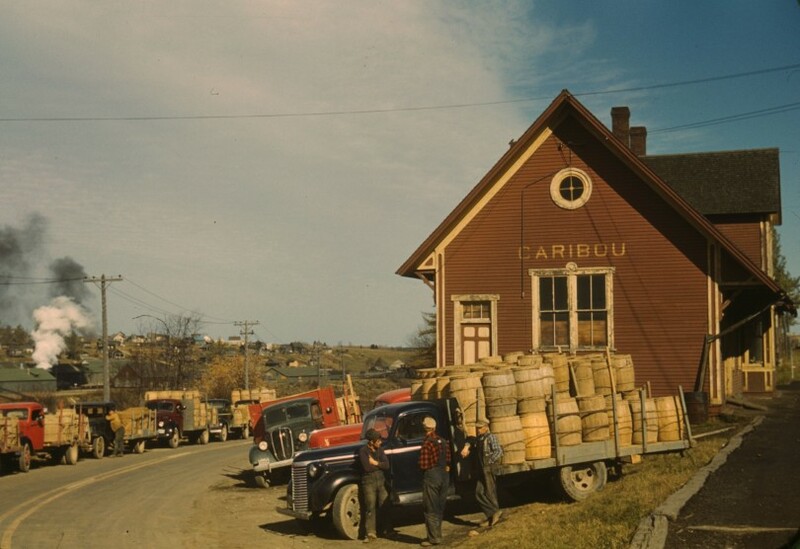 Cariboo is the center of British Columbia — geographically, historically, and culturally. While the seaport cities of British Columbia have grown in size and importance, it’s Cariboo that was the first region to be settled by Europeans. Cariboo can be a reference to the entire inter-mountain region between the Cariboo Mountains and the Fraser Canyon, but it now refers to a smaller, more defined area that incorporates towns like Prince George, Quesnel, Lytton, Williams Lake, Lillooet, Likely, Ashcroft, Horsefly, Clinton, Wells, and Bridge Lake. Cariboo was born in a Gold Rush. British Columbia was British Crown Colony before it became a Canadian province, and was mostly uninhabited until gold was discovered along the Horsefly River and Williams Creek. This led to mining boomtowns all around Cariboo. 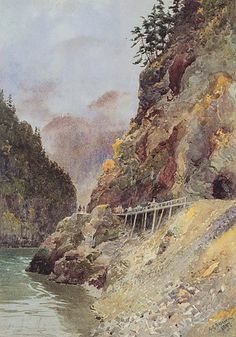 These were eventually joined by the Cariboo Wagon Road that connect them all and allowed access to the sea at Vancouver Island during the middle of the 19th century. The gold boom is long over, but the minerals and timber in the area have kept the Cariboo population busy. The area is rugged and scenic, and tourists come every year to enjoy its wild, mountainous vistas. British Columbia has a wildly different climate depending on whether you’re close to the Pacific Ocean or in the mountains. The Cariboo region is entirely landlocked, so it gets colder and has more snow than Vancouver Island. 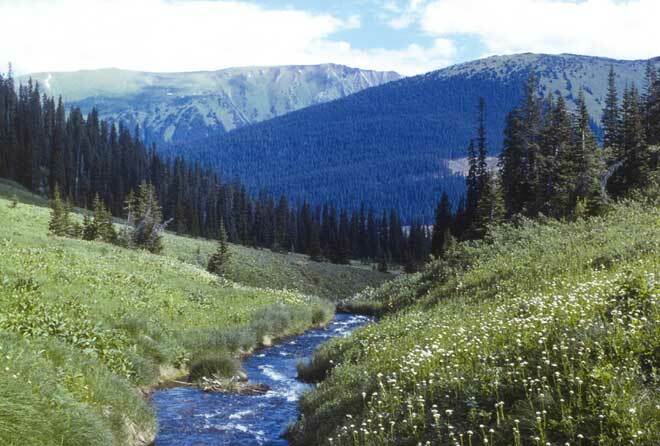 The mountains hem in the Cariboo plateau, so it’s much drier than Vancouver, and sunnier during its summer season. The further north you travel in Cariboo, the cooler and moister it gets. In any season, Cariboo is beautiful. There are mountains everywhere, including the Columbia Mountains and the Rockies, and they form breathtaking backdrops to every vista. There a lot to do in Cariboo, no matter what the season. 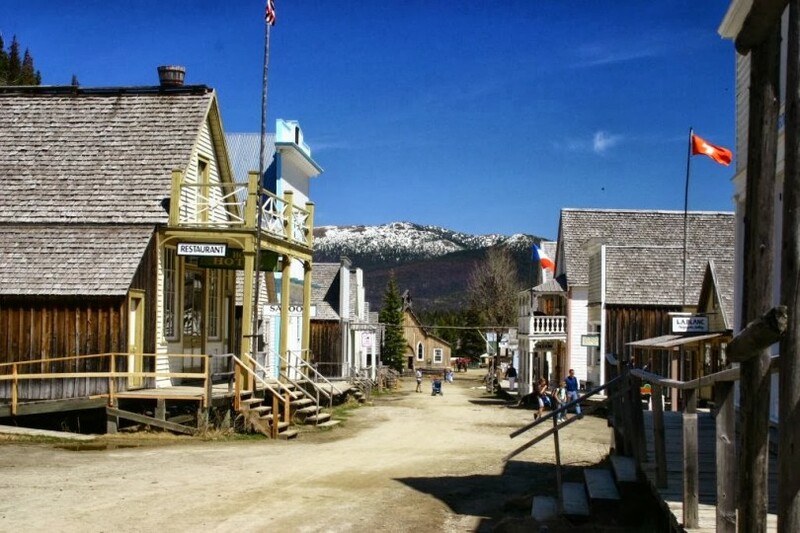 If you’re interested in the Gold Rush history of the area, you can visit the Barkerville Historic Town. It’s a living history museum, restored to its 19th century glory and filled with re-enactors offering glimpses of life during the Gold Rush. The Bowron Lakes Park is a magnificent place to camp and canoe while watching moose, eagles, loons, and bears range around the edges of the lake. You can stay in a lodge or sleep under the stars. If you’d rather shake your reputation as a dude, you can choose from any number of getaway ranches that offer horseback riding, trailside picnics, and a taste of ranch life. Rodeo life is big in Cariboo. You can visit the Museum of the Cariboo in Williams Lake, to see exhibits about ranching and rodeo, and home to the British Columbia Cowboy Hall of Fame. If you want to see the contemporary version of the rodeo, you can attend the Williams Lake Stampede in June, and celebrate Canada Day in true western style. You can see bull riding, bronco busting, roping, barrel racing, and horse races. Or you can visit Quesnel in mid-July for the Billy Barker Days Festival. There’s a parade and fireworks, with a carnival midway, a stock car race, and rodeo events. Outdoor recreation is the center of Cariboo life. There are things to do in every season of the year, so if you love the great outdoors, Cariboo never takes a day off. Camping of all kinds is a popular pastime with visitors and locals alike. There are 10 nearby provincial parks, with hundreds of forestry recreation sites for camping. Almost all the sites supply visitors with picnic tables, open fireplaces, and outhouses. If they’re near bodies of water, you’ll have no trouble finding a boat launch, and swimming and fishing is available all around the water’s edge. Cariboo is a great place to mountain bike. There are trail networks all around Williams Lake, and the Westsyde network of trials is even bigger with 55 separate trails. These smaller riding trails link up with the 12 km trail at Williams Lake, letting you get both a steep ride along with a level, quiet place to ride and sightsee. With all the mountains around, Cariboo is a climber’s dream. Whether you’re just looking for a day hike or you’re a serious climber, you’ll find challenging and interesting terrain. Russet Bluff on the south side of Williams Lake, Signal Point, and Scout Island all have great sightseeing trails with access to more demanding climbs if you prefer. 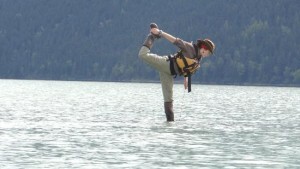 Boating for fishing or sightseeing is a popular pastime, but canoeing might be the best way to enjoy the Cariboo area. There’s a circuit of canoe courses that add up to an amazing 116 km on Bowron Lake alone, but you can also try out the Moose Valley Canoe Route, the Turner Lake Canoe Route, and paddle around the Nazko Lake Park. With winter snowmelt and steep terrain, Cariboo is home to many waterfalls and cascades. Both Likely and Horsefly feature impressive cataracts, and you can see them both in one day by car. There are hundreds more that make wonderful picnic excursions. Winter sports are well represented. Snowshoeing and sledding are a local favorite, but you can find both alpine and cross-country skiing as well. While mountains ring Cariboo, it has many miles of flat landscape that make it perfect for long cross-country trails. Bull Mountain, just north of Williams Lake, has almost 30 km of groomed trails to challenge event the fittest skier, and offering beautiful, quiet winter vistas. If you prefer more power between you and the snow, there are miles and miles of trails for snowmobiling and four-wheeling all over the area. If you want to strike out overland off the trails, there’s lots of wild scenery, but you’ll have to make sure not to trespass on private property while you ride. Cariboo is the least populated part of British Columbia, and almost 10 percent of the population is immigrants. It’s a place of rugged natural beauty, a peaceful lifestyle with lots of opportunities for outdoor activities, and friendly people that will welcome you with open arms whether you’re a visitor or you’ve decided to live there year round. You’re always welcome in Cariboo.